If you wake up regularly with a sore jaw and headaches, or you’ve noticed tiny fractures in your teeth, you may be grinding your teeth — and you’re not alone. Many people grind their teeth at night and many may not be aware they are doing it, according to American Dental Association. In fact, the malady, in medical parlance, is called bruxism and usually takes diagnosis by a dentist to identify it. ADA spokeswoman Maria Lopez Howell, who is also a dentist, told the Associated Press in an interview that many times people have no idea they grind their teeth at night. Teeth grinding can be caused by a number of things, including: anxiety, stress, exhaustion or signs of a sleeping disorder, like an apnea, according to Howell. The ADA stresses that people who are grinding their teeth should see a dentist to get to the bottom of why they are grinding and determine if it’s a sign of something more serious like sleep apnea. “It’s important to talk to your dentist about if you have any sleep disorders, because you don’t want to miss an opportunity to see whether you need something other than a night guard,” Howell said. A recent study from Journal of the American Dental Association (JADA) found that some behaviors, including overuse of alcohol, caffeine and tobacco may increase the risk of teeth grinding. People grind their teeth during the day, at night or both. The ADA listed several symptoms that may indicate teeth grinding, including waking up with a dull headache, sore jaw, sensitive teeth, or even notice fractures in their teeth. While some may brush off teeth grinding as no big deal, going untreated can cause a problem later. Howell said many people don’t recognize that the jaw’s temporomandibular joint is just that — a joint — and, like any other joint, it can suffer from a systematic disease like arthritis. 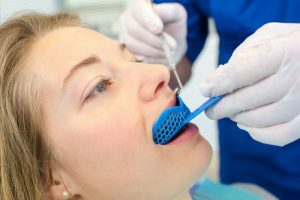 While there are a slew of options from over-the-counter plastic molds to companies that will send you casts for your mouth, The ADA recommends that people consult their dentist to find out the cause of their grinding and get a customized treatment plan. Sonic Toothbrushes: Are They Worth the Cost? Strolling down the dental aisle, you’ve no doubt seen the myriad choices available when it comes to choosing a toothbrush. From the classic manual flathead to the $100-plus electric, the choices have become a big business. Are you choosing the right one? If you’re reading this, you’ve likely been brushing your teeth for many years and maybe you’ve tried several kinds, or maybe you stick with what you’ve always used. 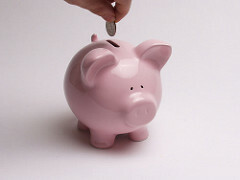 One question that we’ve been asked more than once is whether the cost of a “sonic” toothbrush is worth the investment. Surprisingly, the answer isn’t a simple “yes” or “no.” Rather, it depends on a couple of important factors, including your preference for technology and, more important, your oral hygiene habits. What Makes a “Sonic” Toothbrush Special? The sonic toothbrush, such as Phillip’s “Sonicare,” is touted as the toothbrush that cleans areas in your mouth your normal toothbrush can’t; or it can whiten your teeth in just one week. Beyond the marketing, sonic toothbrushes are, in fact, a very specialized type of electric toothbrush that — unlike other brushes — can clean deep between teeth. The vibrations from the sonic technology and the speed at which the toothbrush head vibrates are significantly faster and more powerful than your average electric toothbrush — and certainly more than a manual toothbrush. The sonic technology helps create a flow of saliva, when mixed with toothpaste, that does penetrate deeper between your teeth and below the gum line. People who use the sonic toothbrush have said they love the way their teeth feel after they brush … “almost like they’ve had their teeth professionally cleaned.” There is no doubt that the technology of this toothbrush is great. 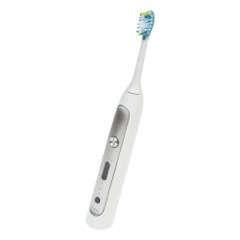 The most obvious drawback to the sonic toothbrush is the hefty price tag. You can expect to pay at least $50 for one and that’s if you can find an older model that’s on sale. You’ll also have to buy replacement heads just like you have to replace toothbrushes. Most of these toothbrushes are at least $100. Prices and models vary, but a big price tag is consistent — expensive. If you’re someone who listens to your dentist’s recommendations by brushing and flossing as recommended, you’re likely cleaning everywhere a sonic toothbrush does, in which case it probably isn’t worth the financial investment to upgrade to a sonic toothbrush. However, if you skip flossing (like so many people do), a sonic toothbrush would probably be a wise investment. Mind you, a sonic toothbrush shouldn’t supplant the place of flossing, but for those that don’t do it, it can at least partially combat the effects of… laziness. When it comes down to it, though, brushing with a standard toothbrush for two minutes and then flossing does a better job at keeping your teeth clean than brushing with a sonic toothbrush and not flossing. Ultimately, your oral health is important and if you know your brushing and flossing habits, you will be better able to choose the best type of brush for you. The biggest thing is to be conscious of your oral health. Turn your child’s brushing and losing into a game or a competition. There are products out there to help kids brush for long enough. That is the crucial issue, as children underestimate two minutes, which is the minimum amount of time to get teeth properly cleaned. Play a favorite song or video that lasts at least two minutes. Switch to an electric toothbrush. Kids like a “machine” as opposed to an inanimate toothbrush. Attach something large to the ends of dental floss. This give the kids something easier to grip. Make sure your kids really understand the dangers of poor oral hygiene. They should understand that teeth can “get sick” and even “hurt” if we don’t clean them well. Have these discussions without frightening the children, however. Let children choose the elements of their oral health hygiene, including their favorite toothpaste, the color and type of toothbrush they want and even their cups. Brush and floss your teeth when they brush and floss theirs. Be their best role model so they can “do as you do”. Make the teeth cleaning process regular and fun and ensure that it lasts for long enough, too. Together, you’ll be able to keep the cavities at bay and enjoy years of good dental health. Before You Retire, See Your Dentist! If you are about to retire, your to-do list is not short. You have to make a visit to human resources, make arrangements with your pension plan, make a determination about how and when to collect Social Security. And you have to take care of your teeth. Many people who are working have the benefit of some sort of dental insurance coverage. But as you move into retirement, that number goes down. You may be able to arrange for dental coverage. If you have not or cannot obtain continuing dental coverage, then you need to have as many dental health needs dealt with prior to retirement, so make an appointment to see your dentist right away, prior to the end of your insurance coverage. 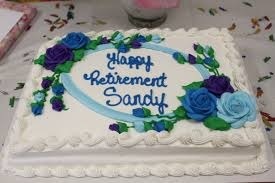 Have a thorough cleaning and make arrangements to deal with any chronic issues prior to your retirement. If you plan to permanently forego dental insurance coverage, be sure you can afford to pay for dental care out of pocket. If you have had a history of optimal oral health, this might be a reasonable risk. But, for many, this is a poor financial decision. If you are going to be without dental insurance, set aside money for cleanings and treatments, take care of your teeth fastidiously and see a dentist at the earliest sign of tooth or gum problems, while the problem remains small. Many legislators are trying to include dental care into Medicare coverage, but this is not yet the standard. Until then, the newly retired need to either privately pay for coverage or pay up. A poor choice is to go without dental visits. Please don’t make that choice. 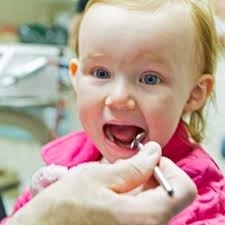 If you will be taking your child or grandchild to their first dental appointment soon, good for you! Early dental care is crucial for continued good oral health among the youngest of dental patients. Dental visits may have changed since you were a kid. 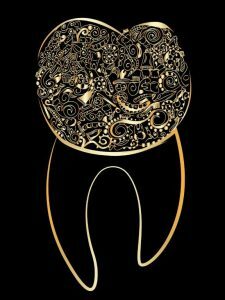 What can you expect to happen at that first visit? You might have more anxiety than your child. 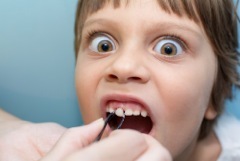 You may have your own preconceived notions about childhood dentist visits. It is really important that you do not somehow transmit these fears to your child. For a child, a first visit to the dentist is a happy milestone. It can be a little exciting, and if all goes well, a very positive experience. Many children list their dentists among some of their most trusted adults in their lives. Dentists see them regularly, ask the kids to smile, put the kids in a cool comfy chair, and dentists are trained to be gentle and positive. 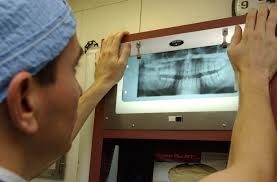 What will happen at the first dental visit? In general, the answer is “Nothing scary”. The dentist will look at the teeth very gently and count them. Some dentists will engage the children in helping to count the teeth, too. Dentists will discuss with the caregivers any oral health concerns, including eating and drinking habits, current oral hygiene practices and any worrisome areas, like thumb-sucking. If the children are old enough, the child’s teeth will be gently cleaned and polished. Dentists can also give parents a timeline as to when teeth should erupt and even when to expect visits from the Tooth Fairy. So, make your appointment for that little one and help usher them into a lifetime of great habits and pearly whites.